I haven’t been feeling well this past week. I have a cold. So I wanted to do something kind of mellow today, yet still get outside. 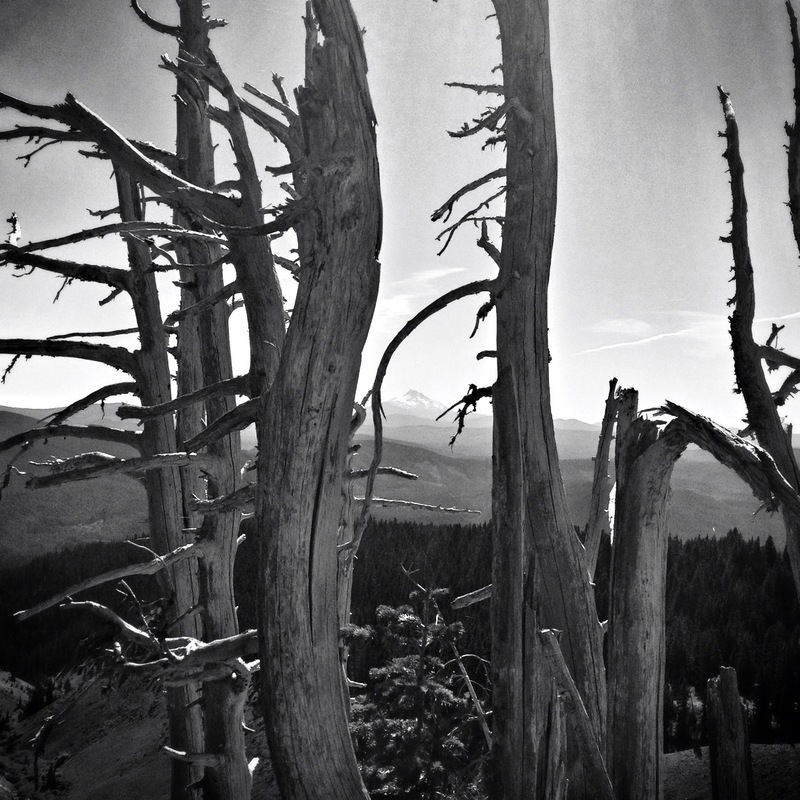 We decided to go to Timberline Lodge and hike the short, 1 mile hike to the Buried Forest Overlook. Unfortunately, we missed the turnoff to it and our walk ended up much longer. To add insult to injury, we had to hike up a sandy hill to get back to Timberline Lodge. It was an interesting hike, geologically and I got some shots with my Yashica Mat. Here is one that I took, recreated with my iPhone.